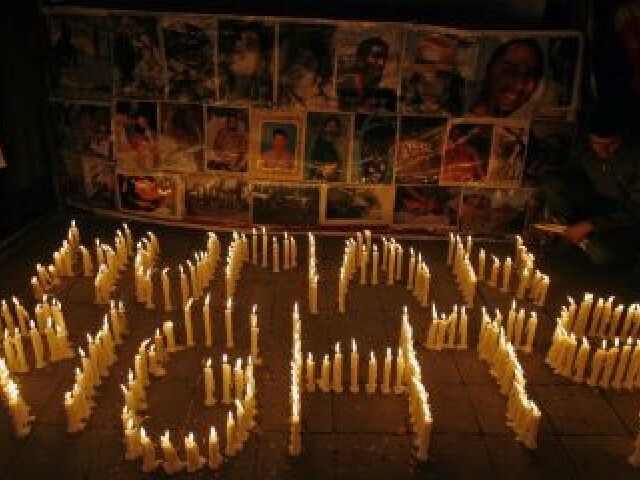 It is the first Pakist­ani NGO to bag the human rights award. Smiling broadly, Sheena Hadi held her head high as she went up to the stage to receive a human rights award at a glittering ceremony last month. On December 11 last year, Aahung became the first Pakistani NGO to bag the Human Rights Tulip Award at The Hague, Netherlands. Aahung became the sixth official recipient of the award, which is given every year to individuals or organisations that protect and promote human rights. In an email interview with The Express Tribune, Hadi, the executive director of Aahung, talked about the work her organisation is doing. “My organisation was nominated by The Netherlands Embassy in Pakistan for its role in advancing reproductive health and rights at the national level,” she said. The Dutch Minister of Foreign Affairs, Frans Timmermans, who presented the award in a ceremony of 150 people, also praised the NGO’s works. “The fact that Aahung is successful is mainly because they give human rights a human face. The organisation considers this award, whose previous recipients have included those working on violence against women in Congo and stoning in Iran, as a big achievement for the country. Hadi hoped that winning the award will further highlight the need in the society to recognise reproductive rights as human rights as the two are often discussed in isolation. “The award sends an important message that reproductive rights must be protected and fulfilled for each individual for human rights to be recognised,” she said, adding that this award will allow them to increase their programmes and reach more people. Since Aahung’s inception in 1995, it has been addressing reproductive health, as well as, promoting easy access to quality information and service in a conservative society which often prevents individuals from speaking openly on such issues. The organisation has been making a difference by increasing access to good quality education and services for reproductive health and rights by connecting service providers through institutions, and by helping out organisations that reach out at the community level. “Sensitisation of teachers has resulted in students becoming aware of health issues, such as puberty and body protection,” Hadi explained, adding that health professionals trained by the organisation work in a sensitive manner and pass on important skills and information to medical students. By introducing innovative strategies, Hadi said they have overcome barriers to promote public awareness on the topics of reproductive health, such as gender equality, violence, maternal health, and infection prevention. Last year, the organisation reached out to medical and nursing institutions, schools and communities. For this year, it aims to initiate two new programmes that target those youngsters who are out of school towards education and increase access to information to the public. “We’ll protect and defend the fundamental rights of the people as enshrined in the Constitution,” he said. AWAM director Nazia Sardar says govt must take steps to protect rights of citizens. CCEP organises seminar titled "Citizens' Consultation on Institutional Architecture To Protect Human Rights".